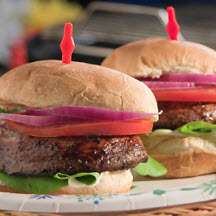 CooksRecipes has quality, kitchen-tested recipes for a variety of fruit and veggie cocktail and tea sandwiches, sliders and mini burgers that are perfect for parties and entertaining. 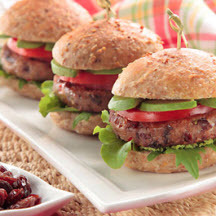 Just one bite and you'll understand why these nutrition-loaded veggie sliders are called "yum yum"! 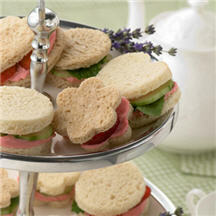 Celebrate the fresh flavors of spring with these sweet-shaped, mini sandwiches. Perfect for brunch, lunch or a garden tea party, these tiny bites are big on flavor. ecipe courtesy of the Mushroom Council.